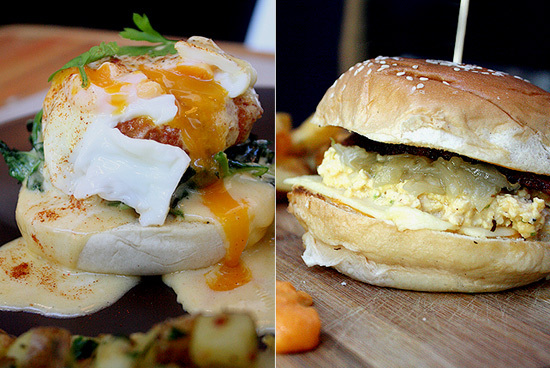 (SPOT.ph) Adam Tan took the bacon off his Eggs Benedict. He took out that sweet, smoky, meaty benediction, and replaced it with something else. It's almost blasphemous, especially once you realize that most of the other items on Main Street's new Weekend Brunch menu are graced with this revered breakfast staple. There's a bacon-infused sauce, a bacon waffle, bacon in the ice cream. Those potatoes are awesome in their own right. Just one up close for good measure. He has the classic version (P300), of course, lest attract picketing purists outside his door. It's embellished with homemade, honey-cured Canadian bacon (Main Street puts Canadian comfort food in the forefront) that takes seven days to prepare, just in time for the weekend. 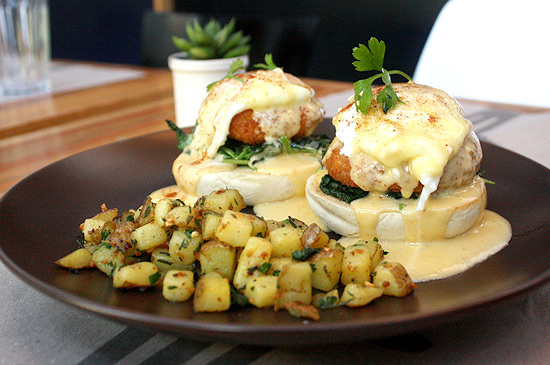 The Crabcake Eggs Benny (P320), however, stands out. Adam's prized crab cakes-one of the first dishes he created-sit on a base of spinach and two halves of an English muffin, cushioning a dainty blanket of perfectly poached eggs. The buttery crab takes the taste buds to a novel adventure, and the bread coat adds a delicious crunch. 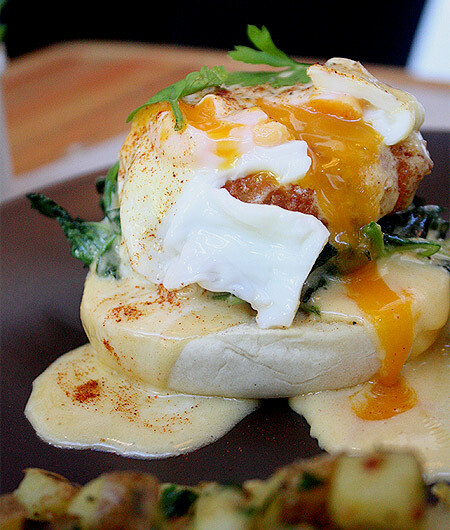 The flourish of hollandaise and the runny orange yolk create somewhat of a sauce to entertain the palate to a myriad of textures and flavors. Suddenly, bacon seems so unimportant. But that effect can only last for a moment. Soon you'll be looking for that delicious slab of cured pork. Main Street understands well enough that the key to good weekend mornings is flavorful bacon, pretty eggs...and waking up late-and fortunately, brunch is served at the reasonable hour of 9 a.m. until 12 p.m. Bacon cravings will be sated with the Bacon Slab (P320). The thick block is deliciously hunky, but with alternating laces of fat to make it juicy. Made in-house, you can tell that they layered on enough flavor to matter. 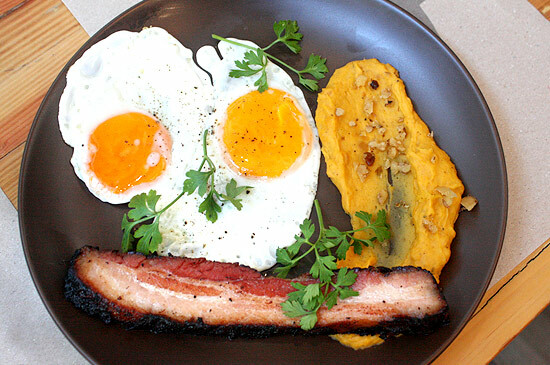 Applewood paints a sweetish tone and darker hue on the bacon, gorgeous sunny eggs complete the picture. After removing this important component from traditional brunch fare, Main Street finds ways to sneak in their beloved bacon into other dishes. 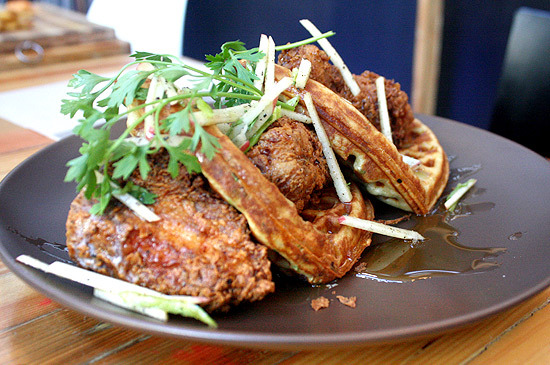 Their bestselling buttermilk fried chicken makes an appearance in the Chicken and Waffles (P330). The more famished sort might miss it, but Adam artfully arranges the pair to look like three pieces of chicken lounging on a chaise of waffles-a nod to his more innovative take on tradition. The waffles have a spiced profile from the addition of chives and (more) bacon in the batter that works wonders alongside the savory chicken. A shower of Don Papa Rum-infused honey gives your morning a sweet start. The Eggslut (P300) is more California than Canada. 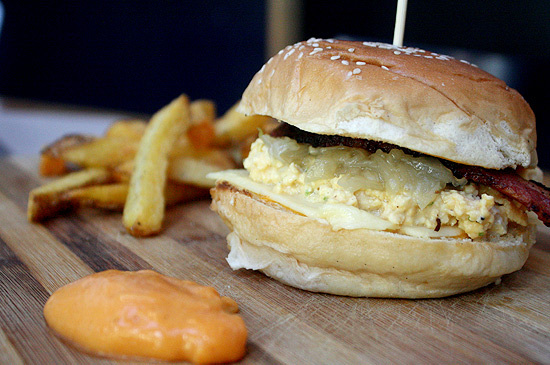 The sesame bun fails to contain the velvety scrambled eggs, applewood-smoked bacon, and caramelized onions. What you get is a creamy, smoky, and sweet chaos where the side serving of sriracha mayo daubs a deliciously fiery thrill. The bacon takes a backseat to the egg and onions, but still unmistakably distinct. There may be a point in life when too much bacon becomes too much. But now is not that time. 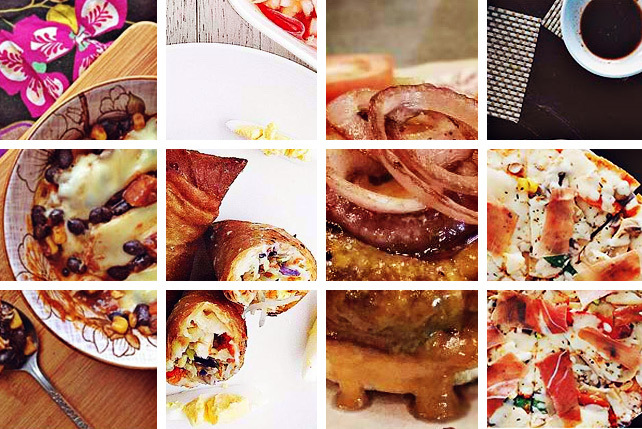 You didn’t have it with your Eggs Benedict, so go ahead. Get the Maple Bacon Ice Cream.